Plus some RAF Hawker Hunter F.4's. 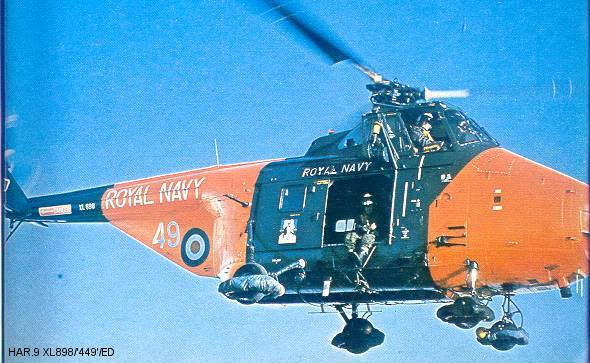 Model Art would like to point out that new information received indicates that the Westland WASP XS537/'O' featured on sheet 72/036 was in fact a liaison aircraft from HMS Bulwark and not an Admiral's barge, and was painted overall 'spinach' green. The markings on the sheet are correct apart from the roundels which, although they are of the correct diameter, should be of the older pattern with much a thinner blue circle and a smaller red dot; the machine was in use much earlier than the date quoted on the instructions. As usual, Model Art will be very glad to hear from you if you have good source material for any schemes that might be incorporated in future releases. 2. 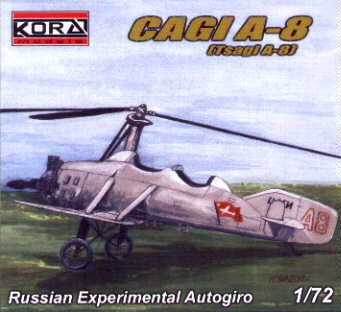 Unicraft's 1:72 TsAGI 11-EA '1936 Soviet Experimental Helicopter' is now released. The kit has about 25 resin parts, but no decals as apparently the real machine carried no markings. 3. The new 1:35 Italeri Loach #382 is indeed the DML/Dragon kit reboxed. It still has the Miss Clawd decals, with the alternative of standard E Troop 1st/9th Cav markings. 4. Cobra Company have a new 1:35 scale detail set ready and waiting for the imminent Academy/MRC UH-60L. It includes a new instrument panel, new console, new pedestal, two corrected collective sticks, two corrected cyclic grips, two fire extinguishers, two fully detailed pilot seats with different belt sets, two first aid kits, two cabin ICS/Storage bins, two chaff/flare dispensers and a replacement resin disco light. 5. More great news from Cobra Company - their 1:48 SH-60B and SH-60F multi-media kits have been fully resin cast and all the white metal parts have been received from the vendor. The photo-etch art has been submitted to production and decals are being set up by Airway Graphics International. These kits should be ready within the next 90 days. Modification work to produce the HH-60H and the Jayhawk is under way. 6. If anyone can provide good scale drawings of either the Piasecki HRP-1 Dogship or the Jovair-McCulloch MC.4 please let me know - these are being considered as future projects by one of the manufacturers of more unusual subjects; if suitable drawings can be found. TsAGI A-6 #7238 with 21 resin, 12 photo-etched, and 3 white metal parts. 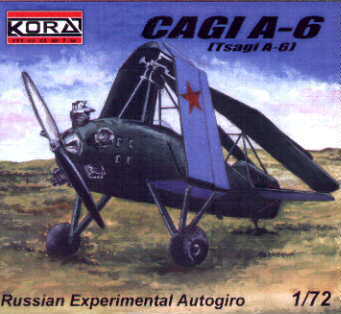 TsAGI A-8 #7239 with 25 resin, 12 photo-etched, and 3 white metal parts. I believe there are also two more, one of which may be the TsAGI 11-EA again, though this has yet to be confirmed. Thanks to Jean-Pierre Desprez (Model Art), Will Alcott, Igor Shestakov (Unicraft), Chris Miller (Cobra Co), and Petr Zaoral.